Are you interested in finding ways to be more self-sufficient or want to start homesteading? There will be many ways this can be done. Raising animals like chickens in your backyard is a great solution. 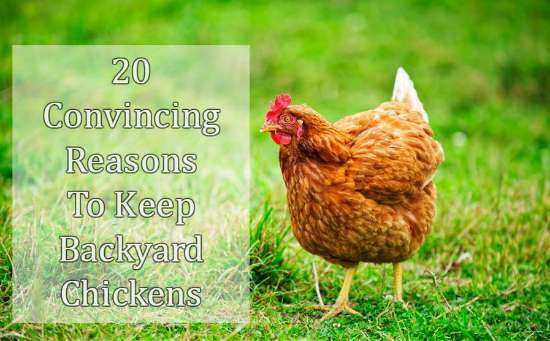 You just need to research the best reasons to keep backyard chickens. There are a lot of good reasons to keep backyard chickens. Some will be pretty obvious like having eggs to a supply of meat for various types of meals. However, there are other reasons that are interesting if you have space available for a few chickens on your property. One of the best reasons to keep backyard chickens is for pest control. Chickens will eat grubs that hide in tall grass and keep insects from becoming a problem. These animals can also be a great way for you to keep weeds at bay. All you need to do is determine the types of chickens you want to raise.